The leak-proof cup style makes Listen Pro a perfect tool for vocal, acoustic instrument and drum recording. 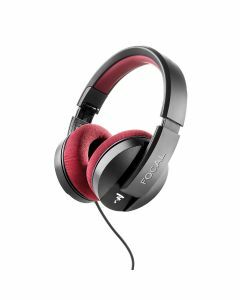 Focal have been producing some of the worldâ€™s highest quality headphones for the better part of the last decade. Listen Professional is one of their latest circum-aural innovations to feature high quality transducers in a closed-back design. The leak-proof cup style makes Listen Pro a perfect tool for vocal, acoustic instrument and drum recording. Plus, with a selection of different cables, Listen Pro is the perfect listening partner for general music listening and gaming and travel.